Published July 2, 2012 By Anna T. This post may contain affiliate links. Regardless, I only recommend sites I've researched and/or used and trust. If you've ever been interested in forum moderation or social media management, then becoming a moderator at LiveWorld may be ideal. Note that this position on their site is listed as a”customer service agent.” However, it's technically a moderation job. Note that this company is open to hiring people both inside and outside the United States. LiveWorld contracts out moderation services to their clients. They hire the moderators and then various businesses pay them to use these moderators for their own purposes. Therefore, what you actually do varies depending on the client. Sweeping of client content, which can include Facebook Wall posts and comments, message boards, chat boards, user groups, blog entries, videos, pictures, or audio files on either LiveWorld or client platforms. Once hired, you'll start out somewhere around $8 to $10 hourly. I've read the exact rate is dependent on your location. This info didn't come from the LiveWorld site because they don't have it listed, so those are just quotes I read around the web. You can get paid with either a paper check in the mail or direct deposit every two weeks (thanks to a reader for clarifying this in the comments below). You stand a better chance of getting hired if you do have some moderation experience in your background (forums, Facebook pages, etc.) but if you don't have those skills, they do want to know that you at least have a good familiarity with social media in general even if you have never done any type of moderation. You also must be 18 or older, a competent typist and computer user, and also have access to high speed internet. 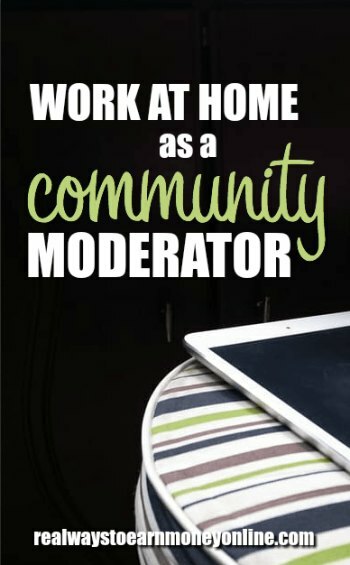 If you are bilingual, this is a definite plus because this company seems to always have a need for bilingual moderators. After you are hired, they want you to go through some training, which is done via live sessions. Once you're trained, I'm semi-confused about how scheduling works. I can see that things are done in shifts. You are either put on a schedule or it's first come, first serve and I did read on Work Place Like Home where one person reported having trouble grabbing shifts after getting hired. Some people don't like that the company doesn't give raises. What you are hired in making is what you will always make. I have heard that getting hired at LiveWorld isn't easy, so you may not hear back. It seems that they always have their application page up on their site though. Want to apply? Go here. I just got hired with Live World for part time content mod. I’m not sure why others are saying the pay is low. The pay rate is $9.00 and $12 an hour if you’re invited to join a designated project. Some people are paid as low as 7.50, it depends on where you live. Not till recently was the pay changed to 10-12 per hour depending on IF you’re invited. I’ve been working for LW for some time now (LONG TIME- hint hint) and it’s been hell on wheels. I stay because I have children who need me to be there for them. One has a learning disability and one is partially deaf. I was on food stamps for years and I always have a second job now which covers just a few hours each week to make up for food. There are countless times when I work without having eaten one morsel for days because I can’t afford it. Sure, I am smart but HUNGRY! It’s akin to being a slave, sad to say. I posses the education but am so burnt out mentally and physically that I can’t see myself doing 40 in an office at this point. Perhaps 10-15 years ago, yes, but then I thought LW was the job of my dreams back then and I’d eventually have a higher salary based on cost of living. I was very wrong. We all now this to be true but greed takes center stage. I feel sad for the manager who passed on recently, though she was pleasant, she never really helped the little people. The compensation part is bad but it’s for individuals who mainly CAN NOT work outside for various reasons like a disability, emotional distress or living in an area where jobs are scarce. It’s EXTREMELY SAD that they don’t do raises because they are not going to get the quality of work that they COULD receive from a moderator (worker) who is cared for. It’s also a welfare queen company as the pay rate is so low that you can receive benefits should you need. It’s taking advantage of smart, upper class people who are down on their luck financially. Most moderators are poor or lower middle class financially unless they have a spouse, family members or friends helping out. The LW board of directors and/or CEO need to wake up and smell the coffee that stagnant pay rate decreases over time. You may have 7 -8 bucks starting which would gradually decrease to 3 -4 an hour because of inflation, the economy and etc. Let’s not forget bills and the Home Office Deduction which can not always be used as a deduction as special rules apply for employees. Generally this is used for Independent Contractors. I worked there over 5 years and you’re right on every count. 7.50 an hour back in 2004, still 7.50 an hour now (I know mods still there who have had no raises and are getting food stamps.) When they cut my hours I was eligible for unemployment compensation even though I was still working there. It was horrible. And the managers, I just can’t even. So unprofessional. I had one calling me up yelling at me before she realized she was calling the wrong moderator. LiveWorld is a great company to work for. I’ve been with them over a year. You’re not going to find much information about it online because all employees are required to sign an NDA. If you’re applying to be a content moderator, this is part-time work only. Pay is hourly and based on your location. You’re not going to get many hours, but it works great as a second job for supplemental income. Thank you I have bookmarked the page. Do you know of any similar positions? I’m really needing something that would allow me to work 5 to 10 hours per week at night. It would be great if they had the possibility of more hours, but definitely am looking for something like this. Prefer something that pays hourly. In the day ChaCha was great before they got down to pennies per hour. I would love something like that though, similar to ChaCha or Live World. Thanks for your blog! It has really been super helpful. Do you mean more moderation-type jobs? I have a list of a few other places that hire for it in my directory: http://realwaystoearnmoneyonline.com/money-earning-directory/moderation. I will let you know if I think of anything else. I’m so glad you like the blog! I’ve applied here so many times and I have never heard back so it’s true that it is hard to get on here. I guess they must want people that have moderated before. I actually moderate for them and also another company. You asked how they pay and when. They pay every 2 weeks either by paper check via mail or direct deposit. They hire people all over the world also so I am not sure if they do direct deposit in other countries. It is a great place to work and the people are very nice. The only thing I do not care for is whatever pay rate you hired at is what you will get forever. They do not do raises of any kind. There are people who worked there for over 15yrs and still make what they did from day one. But obviously the job is great or they would not stay. They stay because they’re in a bind and can’t find decent pay because no one is paying decently for skilled professional work. LW pays 7.50 an hour. They paid that in 2004 and that’s what they’re paying in 2015. And people there can work for other companies (as you do) to supplement income. You can also qualify for public assistance while working at Live World, isn’t that great? They tell you how lucky you are to have a job from home never mind the fact that you’re paying your own electric, equipment, internet, insurance, office furniture and supplies and so on. No benefits of any kind. They also used to have moderators filling out shift reports AFTER shifts and not allowing any pay for it which is illegal but they ignored requests for just compensation. They also have a bad reputation in the world of moderating. They just have sycophants there and the higher ups have a lot of married couples, nepotism and favortism. Check out their info on Edgar sometime. Hello Bernice. You were there before my time, so I’m guessing you’re no longer there? It’s against policy to work for 2 moderation companies at the same time. Tisk tisk. You are way off. People stay because they can’t get better. The job is not great but it’s better than nothing.